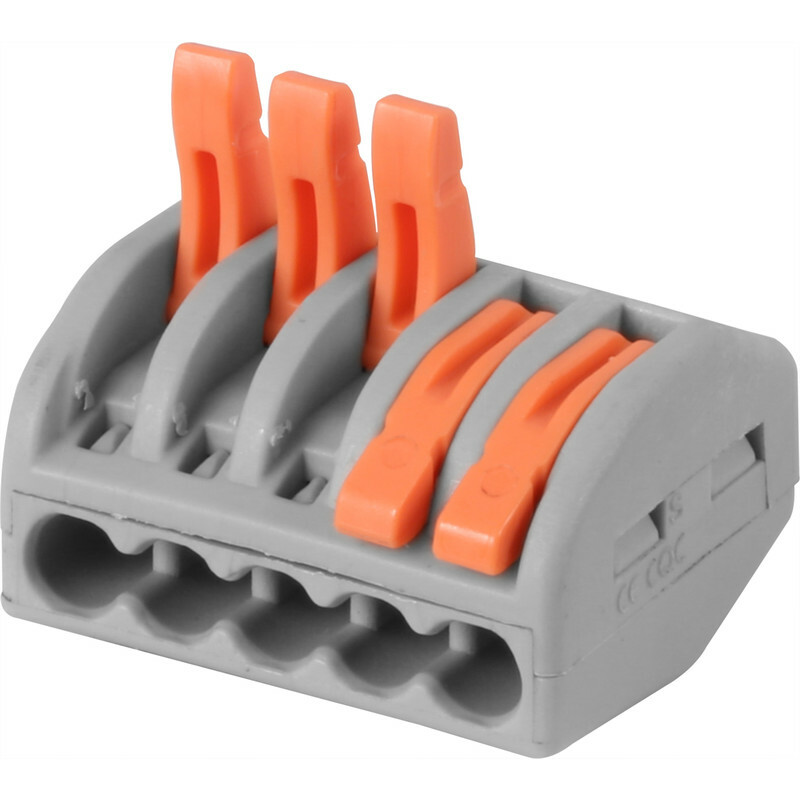 Spring Lever Connectors 5 Terminal 24A (10 Pack) is rated 3.9 out of 5 by 7. Rated 5 out of 5 by Ian19 from Very good Forget chocolate blocks these are far better quicker to fit and feels more secure, more expensive but worth it. Rated 5 out of 5 by Gardensparks from Brilliant kit These are wonderful - so easy to use; they are compact and efficient. I used them to connect cables for garden spots - easily fitted three of them inside small waterproof junction boxes. Would have been much more difficult with standard connectors. Well worth the price. Have bought another pack for future use. Rated 1 out of 5 by Anonymous from Not a wago connector It's designed to look like a wago connector but the springs are far softer and it does not have any markings as to which standards it comply to, if any. Rated 5 out of 5 by Xx12cc34 from Good product Very happy with this product. Rated 5 out of 5 by Ian1123 from Revolution in electrical connectors Used these to rewire old connection boxes. Much quicker to teerminate wires than the old screw type blocks.